I love winners. I find so many great things there when I am not expecting it. For those of you who don’t know what Winner’s is, its a discount store that carries name brands, everything you can think of really. 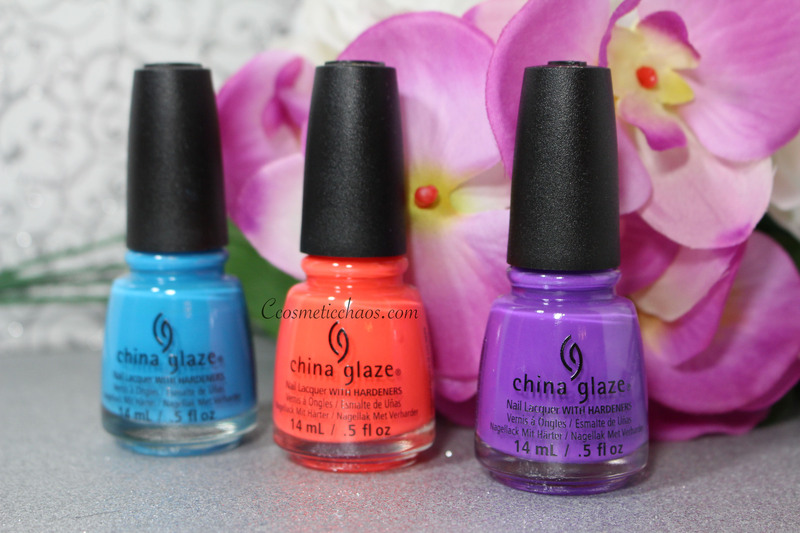 Today I picked up a three pack of the new China Glaze Good Vibes Collection. I was hoping for the whole collection for $29.99 like usual but alas. Winners failed me this season when it comes to the whole collection. Oh well. Beggars can’t be choosers. I paid $16.99 for the set and it came with three nail art tools to do a blow art type design. I am unsure if this is something I will be doing, seems a bit messy. That being said I always like to try new things and the brighter the better. The shades in the kit are DJ Blue my Mind, Plur-ple, & Red-y To Rave. 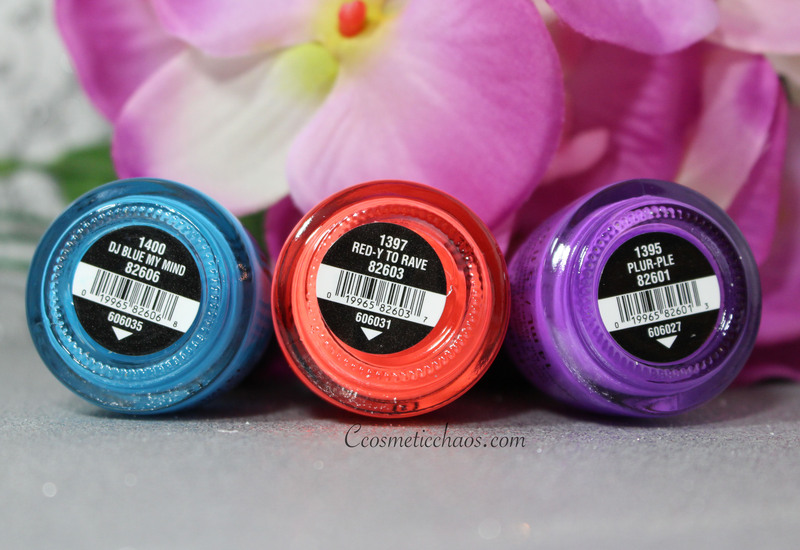 Cream formula and as with most China Glaze neons, it comes out a bit water at first, so it takes a steady hand to get perfect coverage. The other two colours were opaque in two coats, this one required a third coat for proper coverage. 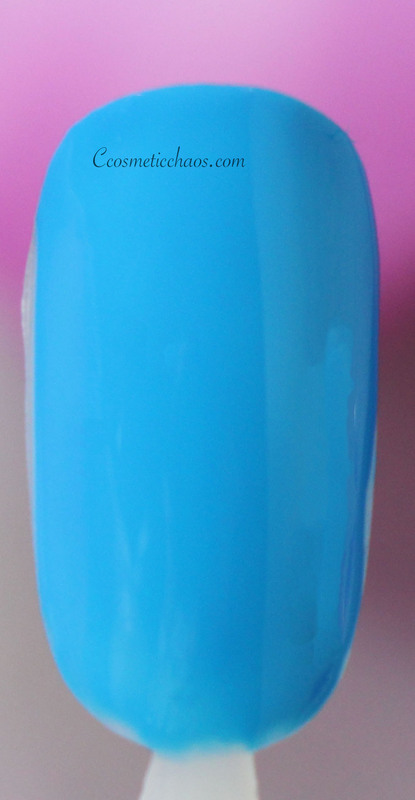 I would describe the colour as a bright robins egg blue… I know… WHAT? 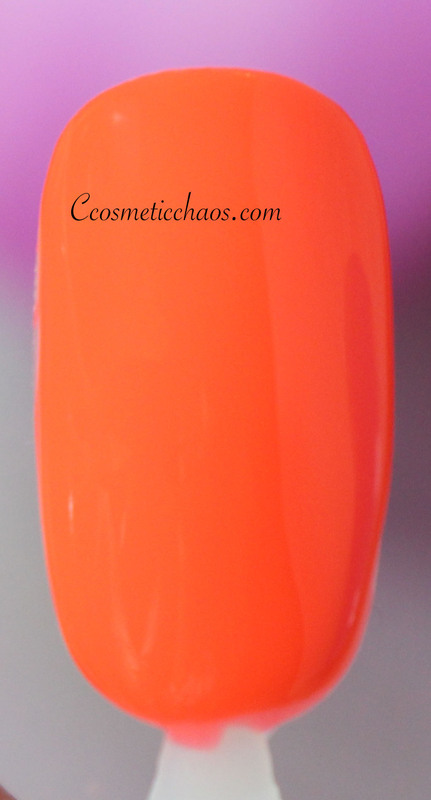 Also a cream formula, Red-Y To Rave had the best coverage and if you were feeling exceptionally lazy one day you could probably get away with one coat. It wouldn’t be perfect but it would be good enough. When I think of the 80’s and rave colours this is definitely one that comes to mind. Something I would have found on my older brothers hammer pants before he went into his kindergarten class. 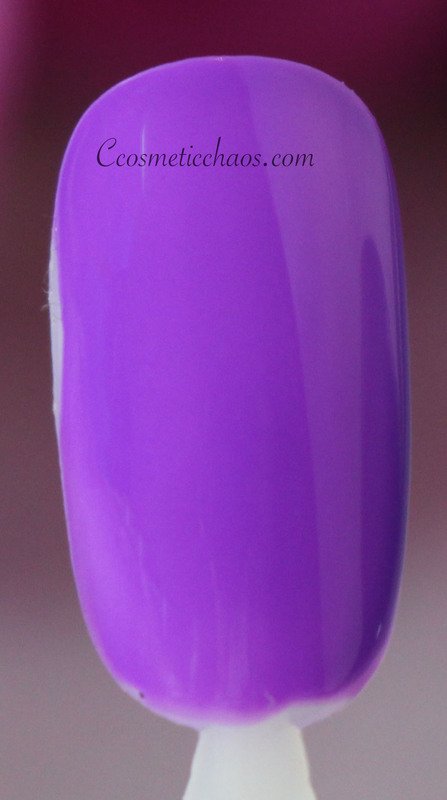 The final cream is called Plur-Ple. I love this shade. I always love purple neons so maybe I am biased. This one definitely needs two coats, however it would likely be best do have a third if you can swing it. I am excited to use all of these for a super doticure! That purple is set to be summers hottest colour. I love the blue shade! I am in love with the blue. I don’t think I could get away with wearing it to work, but how fun would that be on the weekend?